We’re all very excited about the progress being made on the preparation of our Home Management and Hospitality Course. 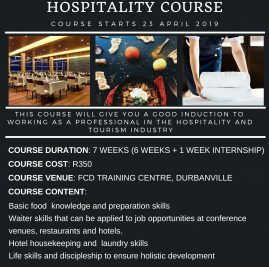 After several brainstorming sessions with Janet Du Plessis, owner of Evertsdal Guest House, and exploring the job opportunities available in this industry, we are thrilled to be adding this sought after programme to our course offering. While much of the training content has been sourced from Bergzicht Training, we have appointed Elizma Saunders to customize the course for our unique requirements. 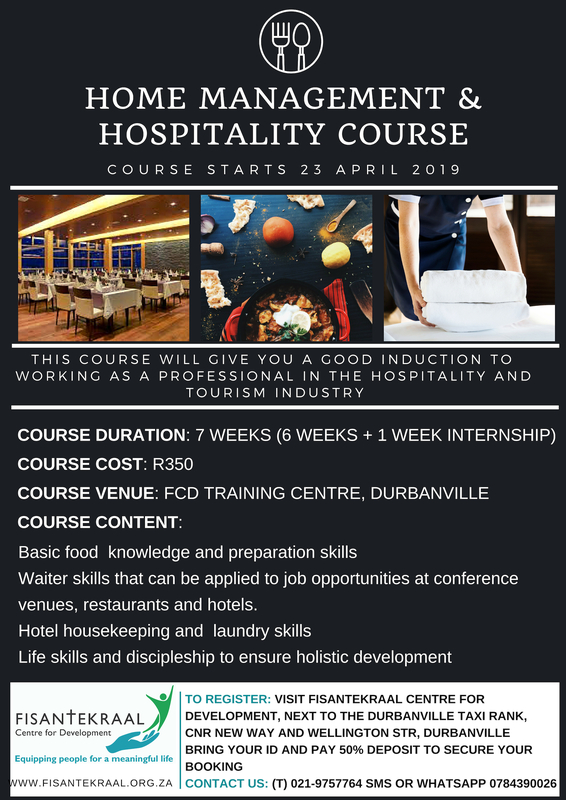 Elizma, who has spent many years working in the hospitality industry abroad and in South Africa, will be presenting the pilot of this programme towards the end of April this year. Apart from our partnership with Evertsdal Guest House, partnerships have also been established with Kolping and Protea Hotels. We are excited that other industry players are keen to support us in this initiative. The training will be conducted at the Durbanville Presbyterian Church who have generously been allowing us to use their facility for various training initiatives over the past few years.